Waterfall Info: This is an impressive wet-weather waterfall on an unnamed Dover Creek tributary flowing in from the north. 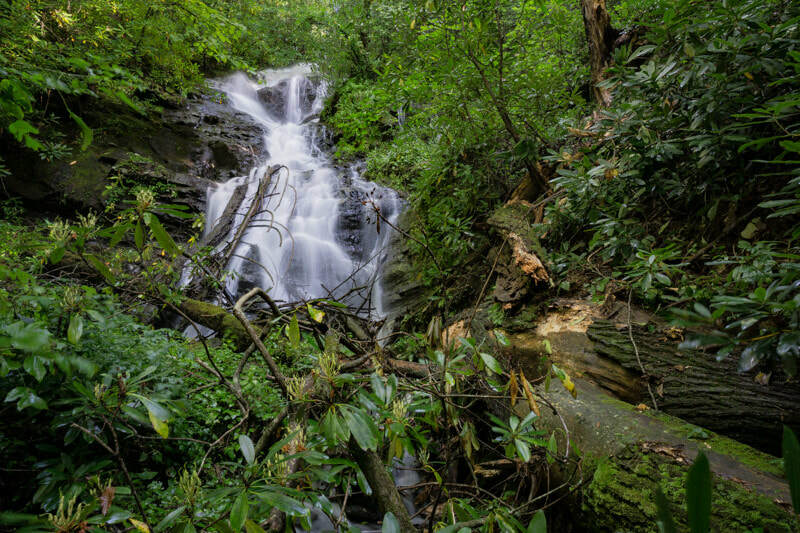 Access Info: Bushwhack off-trail from FS 244 down to the tributary and the falls. The bushwhack is relatively easy.